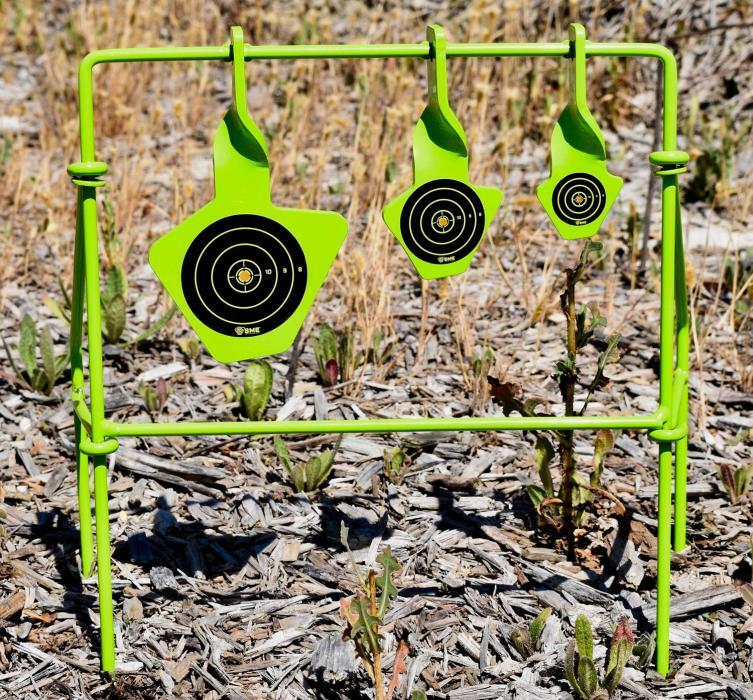 The SME Folding Reactive Target features 3 floating, high visibility targets that are rated for use with firearms up to 22 caliber. 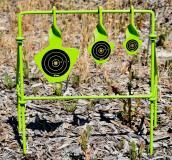 Spinner targets spin when hit and then automatically reset for the next shot. The 4-leg design offers stability during repeated impacts. Plate sizes from smallest to largest: 1.5", 2.25", 3.8".